In this case study, we explain how a powerful creative vision mixed with pure entrepreneurship led George Lucas to create Lucasfilm, Industrial Light and Magic (ILM), and incubate companies like Pixar. By doing so, he developed new core technology competences, that changed the entertainment industry forever. 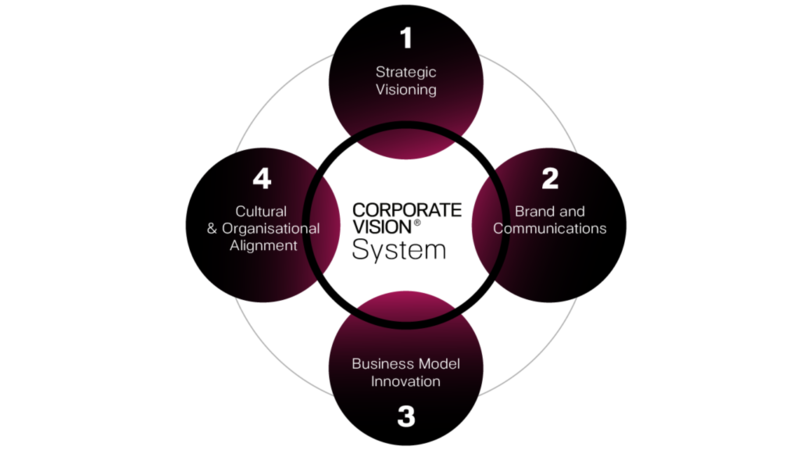 To illustrate this case study, we use the four areas of our Corporate Vision® System model (1. Strategic Visioning, 2. Brand & Communications, 3. Business Model Innovation and 4. Cultural Alignment). STAR WARS, the beginnings of an intergalactic idea that became the best deal in Hollywood history. If you are one of the few people on the face of the planet that has not followed the Star Wars phenomenon or are too young to know it, it began in the 1970s. At the time, a young but wunderkind director called George Lucas (b. 1944) has an idea – a VISION – for the future of moviemaking: THE STAR WARS – first of a planned (nine episodes), epic space adventure. 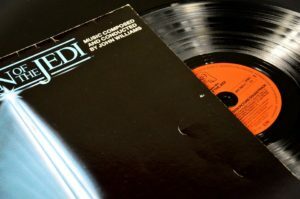 Although Lucas had just been nominated for an Oscar for his movie, American Graffiti, no one wanted – the sci-fi genre – Star Wars when George Lucas started selling it to Hollywood studios in the mid-1970s. This, was the time for high drama, with movies like Love Story, Taxi Driver, The Godfather and Serpico. After several attempts to finance his project, he finally got 20th Century Fox to give him $25,000 to finish the script. The studio wanted to strengthen the relationship with the young Oscar nominated director. The final budget for the whole movie was agreed at $11 million ($45m of today adjusted for inflation). So far the best movie investment ever made. Fox had given Lucas a $1.5 million effects budget, instead of the originally proposed $2.3 million. By contrast, the effects shots for Stanley Kubrick’s film 2001 Odyssey (MGM), cost producers $6.5 million in 1967. But the bigger issue Lucas faced was more operational than financial, as the way he had envisioned his epic STAR WARS movie – it could not be technically made. He realised that his VISION required technological things never done before in filmed entertainment and that movie special effects of the time only went so far. The effects, creatures, spaceships and scenes for his movie would have been impossible to recreate based on the technology and processes available at the time. 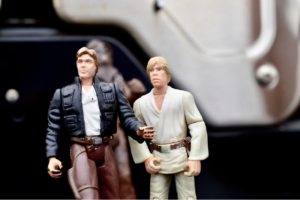 At the STAR WARS inception, Lucas was part of an innovation environment that was affecting culture and was present in America’s campuses, homes and even the U.S.government. The biggest technological achievement of the day was the Moon landing in July 1969 (Apollo programme). Part of the space race (and arms race)with the USSR, it had generated a record TV audience of 53 million households in America and over 530 million viewers worldwide. They all watched Neil Armstrong walk on the Moon. In 1970, Xerox Parc, the research and development center responsible for such developments as laser printing, the modern personal computer and graphical user interface, is created in Palo Alto. By 1971 NASA had a battery powered rover (Moon Buggy) on the Moon (yes a car!) driving around at 8.6 mph. A few years later, the personal computer revolution was also starting, with Bill Gates creating Microsoft (1975) and Steve Jobs, Apple (1976). Something was going on in innovation and technology and George Lucas was going to be part of it. For STAR WARS, Lucas wanted to do effects never seen before. 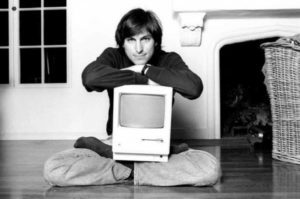 He knew that he had to create (invent) new skills (and core competences) for filmmaking that would allow him to execute his vision (his idea of the future). He knew that big studios, in-house effects departments, would not be able to offer what he needed (and Fox had just closed its special effects department). So Lucas (the entrepreneur) created his second start-up (after Lucasfilm), even before the final script of STAR WARS was finished, to gather the technical talent required. Lucas put together a team of about 45 people (led by FX legend John Dykstra) of college students, artists, industrial designers, model makers, architects and engineers. He set them up in an empty warehouse behind Van Nuys airport, California. The average age was 25. Lucas, named the group Industrial Light and Magic (ILM), which became the Special Visual Effects department on Star Wars. It was the first time that people who worked in all the visual effects departments had ever gathered under one roof to create a film. The energy and communication among the exceptionally talented cinematographers, engineers, and artists resulted in a film that rocked the visual effects world. In making Star Wars, Lucas and his young team pioneered new camera technology, new filming styles, new sound design techniques, and, most importantly, a new way of thinking about science fiction. Dykstra and Lucas used extremely detailed model miniatures, animation and a pioneering system of computer-controlled motion photography, to create the STAR WARS special effects (SFX) that still look fresh today. One of the first projects developed by the fledgling effects company was the design and construction of a motion control camera (dubbed the Dykstraflex), at a cost of $60,000. The camera would allow Dykstra and his team to program camera movements and repeat them continuously. The system was instrumental in creating the film’s spectacular space battles. Today, Industrial Light and Magic owns many patents in movie, sound and imaging technology. Had ILM not been created as a new start-up, to invent from scratch new ways of filmmaking, STAR WARS, the movie, would have most probably never seen the light of day or it would have become a box office flop, due to weak visual effects. Lucas built ILM, hired key people and invented new skills to create new core competences and processes that made movie and technical history. VIDEO: Visit ILM’s ‘garage’ where the STAR WARS magic was invented! Pixar (creator of Toy Story) began, essentially, as an ILM internal unit. Lucas recruited Pixar and its key members in 1979. They had funded a small tech computer graphics start-up at the New York Institute of Technology’s Computer Graphics Lab (CGL), on Long Island (N.Y.). Pixar’s team expertise was in digitally organizing the filmmaking process. Pixar computer division was later sold to Steve Jobs in 1986, but Lucas retained its filmmaking technology. In this story, is where we can see the connection of California’s tech and media entrepreneurs coming together to finance, create and change the future of digital filmmaking and animation. Pixar, led by Steve Jobs, went on to become the innovator of the animation movie industry with the blockbuster Toy Story, just as Disney’s low-tech animation projects faltered at the box office. Disney, would ultimately buy Pixar Studios for $7.4 billion,making Steve Jobs Disney’s largest single shareholder with a stake of 7.7%, (now worth a market value of $14.3bn). 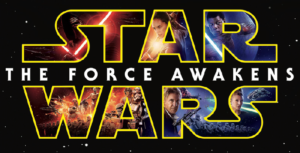 Today, STAR WARS has become a ‘brand platform’ experience and the biggest entertainment brand of all time. The brand uses a simple theme: A story of Good vs. Evil, set in space, against the backdrop of civil war. To see its brand power, visit a large book store anywhere in America and you will see there, unlike other movies, entire store sections dedicated to STAR WARS books, comics and merchandise. Not even Harry Potter’s franchise commands so much shelf space. 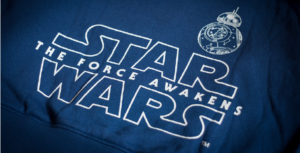 The STAR WARS brand, is a multi-generational force, started in the 1970s. Every parent who saw the original STAR WARS saga, took their children to see the new movie episodes: ‘The Force Awakens’ and ‘Rogue One’. These same children, will also take their children to see future STAR WARS movies. If this circle continues, it would explain why Disney realised that the STAR WARS brand is more powerful than Mickey Mouse and bought Lucasfilm, ILM and Skywalkwer Sound (the film sound unit) for $4 billion, to own the entire ‘Star Wars Expanded Universe’ and related assets. The ’Star Wars Expanded Universe’ (EU), is the collective term for all Star Wars fictional material produced by Lucasfilm or officially licensed by it. George Lucas built a creative storytelling universe that sparked the imagination, and inspired others to create. He opened up (licensed) that universe to be a creative space for other people to tell their own tales under the STAR WARS brand. This, became the Expanded Universe (EU), of comics, novels, videogames, and more. Lucasfilm always strived to keep the stories created for the ‘EU’ consistent with the film and television content as well as internally consistent. With several decades, multiple films, comics, books and creative directors, this became a challenge. Now, Disney is further expanding that universe, in every direction, to make it fresher and generate enormous profits. So, if you were born today, you would have decades of STAR WARS universe to catch up to (with the movies digitally remastered) and more to come (in 3D and virtual reality). (Too see the power of the STAR WARS brand extension and cash licensing generating power, see the section below – BUSINESS MODEL INNOVATION). In this section, I touch upon four key business model areas that I believe allowed Lucasfilm and ILM, two start-ups, to become giant companies in their own right. I also discuss the crucial future partnership with Disney that makes Lucas (like Steve Jobs) one of the largest single shareholders of Disney. George Lucas wanted creative freedom to make his movies. This, meant retaining intellectual property rights for the STAR WARS. The initial deal Lucas got from 20thCentury Fox for STAR WARS was $50,000 to write, another $50,000 to produce, and $50,000 to direct, ($150k in total). He could have asked for more ($500,000 instead of the $150,000) after his success on American Graffiti (1971), but preferred to use a lower fee as a negotiating tool to keep the rights to the sequels instead. The sequel to STAR WARS, the Empire Strikes Back (1980) – was self-financed by Lucas from the proceeds from STAR WARS. He had granted 20th Century Fox merchandising rights for STAR WARS, but got them back in the negotiation to grant FOX to distribute the sequel. No movie studio was willing to do a similar deal after that, and probably nobody ever will do it again. Lucas is the first and last example of building his own billion-dollar movie studio with a single movie brand. From its astounding innovations in the original Star Wars trilogy to its ground-breaking CGI (computer generated imagery) work in blockbusters like Jurassic Park, Star Trek, ET, The Avengers, Ghostbusters, Terminator 2, Pearl Harbor and Transformers, ILM (revenues $8 billion) has changed and expanded the possibilities of what a film can be. ILM has won so far 15 Academy Awards® and 15 BAFTAs®, and has been nominated 29 and 17 times, respectively. ILM, due to the close relationship of George Lucas and Steven Spielberg, would go on to work on all the productions of the maverick director including Raiders of the Lost Ark series. Box office: Takings for all the films is $7.3 billion. Toy Licensing: Total revenue from toy licensing linked to Star Wars since 1977 is estimated at $12 billion. Add in future revenue¹ estimate of $5 billion from merchandise linked to ‘The Force Awakens’, and the total toy licensing value comes in at: $17 billion. Video Games: For video games, there are about 100 Star Wars titles — the franchise has earned $3 billion in sales so far. Estimates for two new titles, Disney Infinity 3.0 and Star Wars: Battlefront, will bring in $1.28 billion. Estimated total for video games: $4.28 billion¹. Other sources: Other miscellaneous revenue sources like books, animated TV series, and collectibles would bring an additional $3.65 billion. Total value: For the total value of the STAR WARS IP (Intellectual Property) we can use the 2012 price that Disney paid for Lucasfilm, the company founded by Star Wars creator George Lucas and home of the Star Wars franchise: $4.1 billion. Estimate for the total of the STAR WARS franchise since 1977 is $42 billion! Kaching! So why sell only for $4.1 billion to Disney for an IP that has generated $42 billion in cash so far? Yes, there is a catch and I explain it later on. Note: In comparison, the other mega movie franchise – James Bond 007 – has generated $8 billion so far. The difference of STAR WARS and 007 Bond movies is that the Bond movies producers (Harry Saltzman and Cubby Broccoli) didn’t own the sequels. They co-owned the sequels with United Artists. Which means one can’t proceed without another. d. A Key Partnership with Disney to make the STAR WARS franchise even bigger. And here is the answer of why Lucas sold his Lucasfilm group to Disney at the end of 2012 for only $4.1 billion. He received $2.2bn in cash and 37.1m Disney shares, according to regulatory filings (FT). At the time (2012), Lucas’s Disney shares were worth $1.9bn, giving the deal a total value of $4.1bn. By 2015 the shares he received were worth $4.1bn, ($2 billion more) giving the Lucasfilm deal a total value of approximately $6.3bn! Unlike many entrepreneurs and investors who build companies these days, George Lucas didn’t raise any VC money in the early start-up days and he wasn’t looking for a “quick flip” (Lucasfilm was founded in 1971, 41 years ago). And that means he gets to keep the whole check Disney wrote for his company. Lucas was also looking for a proper home for his baby. He found it at Disney, a giant creative house, that also owns MARVEL and that has dominated box office hits of all time with movies like Avatar (2009), Titanic (1997) and Marvel’s Avengers (2012). Lucas, saw this transaction also as an investment for the future of STAR WARS, instead of just a quick way to cash out. Lucas’ payday could continue to increase by billions of dollars as Disney promised to make Star Wars a much more global brandhit and is already launching a new theme park based on the Star Wars Universe. And Lucas doesn’t have to lift a finger. Sources: ¹Box Office Mojo, 24/7 Wall St, Forbes, Bloomberg, FT.
A pioneering culture of constant exploration. Three key corporate values permeate the culture of Lucasfilm and ILM over decades: Entrepreneurship, creativity and innovation. These three values together, generated a culture of ‘constant exploration and experimentation’ that attracted the best talent around to push the boundaries of what was possible. Without such values permeating the culture of his companies, Lucas knew that he could only go so far in his quest for creative expression and freedom. As a director-entrepreneur, Lucas took the necessary risks to realise his vision and invested his own money to do it. He took a risk and started ILM in 1975, to invent the new technologies to initially create his own movies. Those same and even better technologies would later serve his fellow peers who wanted to continue to break the special effects (FX) conventions of what was creatively achievable. Lucas, managed to generate high energy, highly creative, innovation start-up ‘experimental’ environments that would attract top talent and projects from the film and technology industries. By doing so, he later became the bridge between digital technology and filmmaking. Without the risk-taking culture of a start-up entrepreneur, Lucas would have never achieved the innovations required to achieve his initial STAR WARS vision. Today, the new CEO of Lucasfilm, Kathleen Kennedy (producer of Jurassic Park, E.T. the Extra-Terrestrial, Gremlins, Back to the Future, The Goonies) and long-time collaborator of Lucas and Spielberg, is now entrusted to continue such a culture of innovation at the company. She will guarantee that the STAR WARS ‘Expanded Universe’ is kept fresh and profitable. With several new STAR WARS productions in the making and the box office success of ‘The Force Awakens’ ($2 billion box office worldwide in its initial 53 days of release in 2015), Kennedy seems fully in charge to guarantee that Lucas’ vision of innovation of an epic galactic saga continues to be realised. (Star Wars: The Last Jedi is released on Dec. 2017). Other sources: Lucasfilm, ILM, deadline.com, FT, Forbes. Tags: Strategic vision, start-ups, venture capital, business incubation, branding, intellectual property, business model innovation, corporate culture, core competences, core values, innovation, technology, star wars, brand licensing, George Lucas, Steven Spielberg, Kathleen Kennedy, Pixar, Disney, Industrial Light and Magic, Lucasfilm. Can I get this in print format to use in a presentation? A bit long but fascinating reading. I am a Star Wars fan and love the insights into George Lucas!